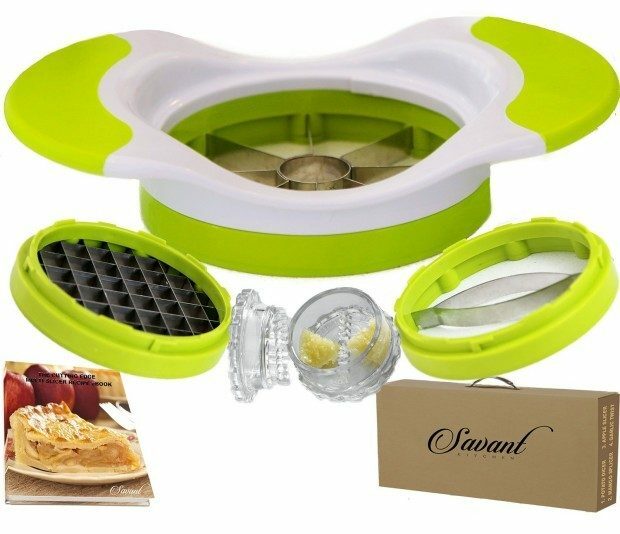 Apple Corer / Slicer / Fry Slicer Plus Garlic Press Only $14.97! You are here: Home / Great Deals / Amazon Deals / Apple Corer / Slicer / Fry Slicer Plus Garlic Press Only $14.97! I’m on the hunt for an easy to user french fry slicer and this one got solid reviews! Head over to Amazon to get this Apple Corer / Slicer / Fry Slicer Plus Garlic Press for Only $14.97! Shipping is FREE for Prime members or on orders of $35+!